This was a high point in Troop 26 history. Our Special Camporee made the cover of the National BSA leaders magazine, “Scouting”, and was sent to Scout leaders all across the country. One of our best scouts, Tommy Steele, was featured on the cover. The issue was dated May -June 1983. A lot of national response came as a result of this cover photo because of the Post 26 hat that Tommy was wearing. Lots of old scouters across the nation confused the patch on the hat with the Exploring Silver Award. It looks similar and was certainly based on the Silver Award, but was different and larger. We got a lot of great responses too. National attention for a great program. Tommy , now Tom, is one of our current Assistant Scoutmasters and Tom’s son is on his way to Eagle. 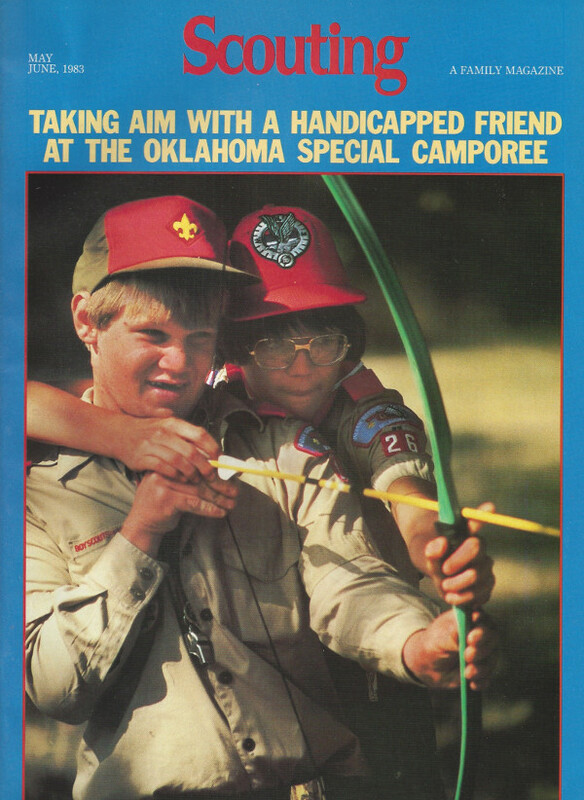 Click here to view the article about the Troop 26 Special Camporee from the 1983 issue of Scouting Magazine. This entry was posted in Scoutmaster and tagged Bill's Favorite Photos, Special Camporee, Tom Steele. Bookmark the permalink.